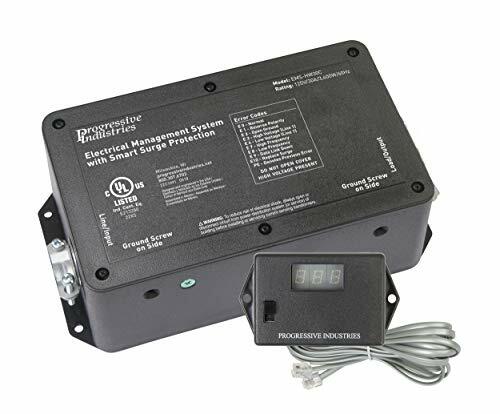 Progressive Industries Portable RV EMS with Surge Protection is hands down the best RV surge protector you can buy. That's because it is not only a surge protector but a complete electrical management system. 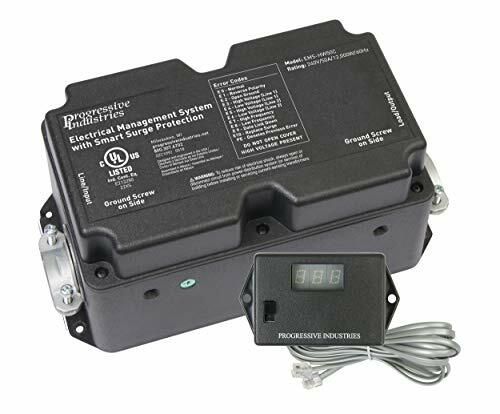 Electrical Management Systems (EMS) help to protect your RV against voltage fluctuations, power surges and incorrectly wired shore power which can cause severe and costly damage to your RV appliances and electronics. They are most commonly known as RV surge protectors but they protect against way, way more than just surges. We purchased the progressive industries 50 amp RV surge protector before we plugged in our rig for even the first time. Why spend so much on a rig then skimp on a $500 piece that will save your electronics? The first couple of weeks that we had the surge protector we had no power issues. It made us start to think that we wasted our money and fed into the hype. Then one day, the power suddenly shut off. We thought we may have blown a fuse so checked them but nothing was tripped. We noticed that there was an error code in the Progressive Industries EMS-PT50X. Looking at the side of the surge protector told us that the error code is due to a low voltage condition. This is bad because it causes more amps and more heat across the connection if it continues to drop. Avoid this possible deadly issue and more with the purchase of a progressive industries portable surge protector. The recommended model comes in both 30 amp and 50 amp forms. Time Delay – When you first turn it on, If the AC power is interrupted, or the EMS detects an error, there is a time delay of 136-seconds (02:16) before it will attempt to activate. Whenever a power leg falls below 104 volts or rises above 132 volts, the EMS automatically shuts down power to the RV. 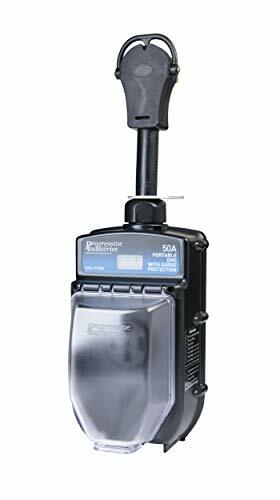 The EMS will monitor the power and once the power rises above 104 volts, or below the 132-volt level, it will automatically restore power to the RV. We don’t have a lock because we have never felt the need. Most people like to be safe rather than sorry and it's a cheap investment for the peace of mind. Progressive Industries lists this one as compatible with their RV surge protectors. Pick one up to protect from RV surge protector theft. This is a great option if you don’t want to deal with the additional box everytime you plug-in. It also fixes the security issue as the unit is now safe inside your rig. We didn't go this option because it was a new rig and didn't want to mess with the wiring. If something ever happens to our portable unit we will probably pay to have it hard-wired. These also come in 50 amp and 30 amp models.